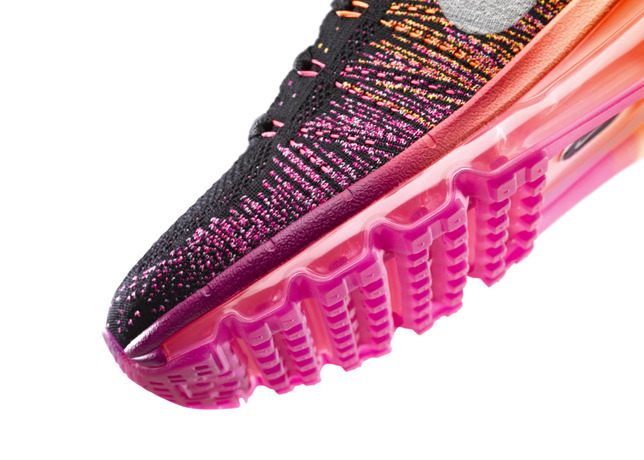 Both of the new Air Max styles offer runners a lighter, more flexible and ultra-cushioned ride and are highlighted by a two-colour faded airbag. Nike designers leveraged runner’s insights combined with data from the Nike Sports Research Lab to increase flexibility and decrease weight in the outsole. To further improve the design, the team incorporated unique flex grooves that encourage a smoother transition. Shaving even more weight, the designers took a cue from Nike’s heritage by using a redesigned Waffle outsole for better traction. For the first time, Nike has paired innovative Nike Flyknit technology with the ultra-cushioned ride of Air Max. Nike Flyknit allows designers to precision-engineer areas of support and breathability into a virtually seamless upper, delivering a superior, lightweight fit. 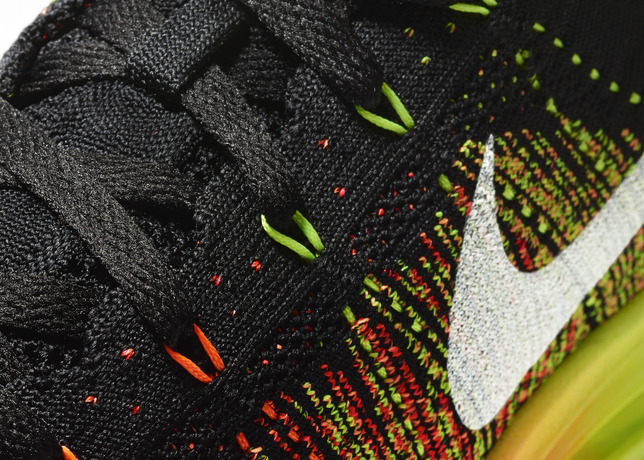 The Flyknit Air Max also integrates Flywire technology for additional support throughout the upper. 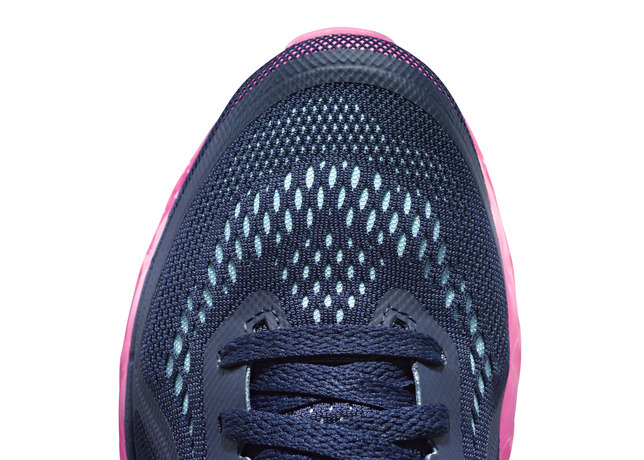 For those runners who prefer a more traditional fit, the new Air Max 2014 features a lightweight, engineered mesh upper. Designers paired the engineered mesh with a lightweight foam and seamless overlay that conforms to the shape of the foot and provides additional structure and support. 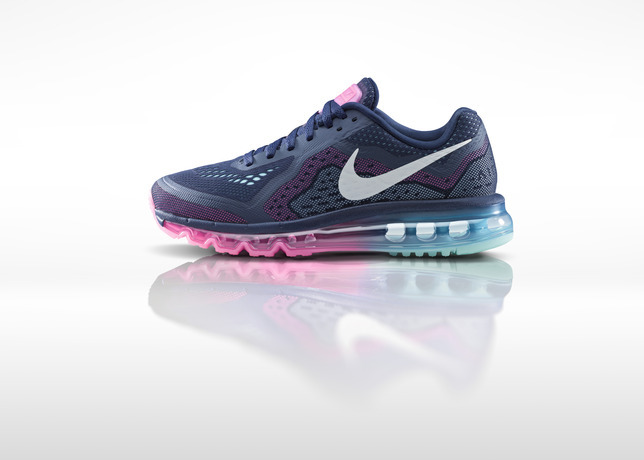 Starting November 18th 2013, runners will be able to customise the Nike Air Max 2014 – and its two-colour faded airbag – on NIKEiD. The first of six inline colours of the Nike Air Max 2014 will be available in stores and at nike.com beginning December 5th. 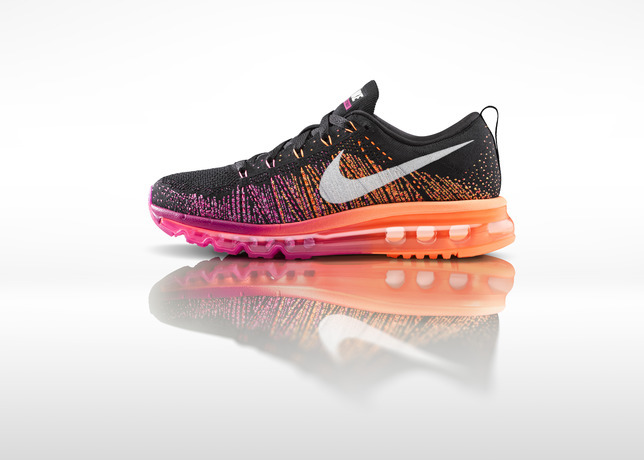 The Nike Flyknit Air Max will be available beginning January 3rd 2014. 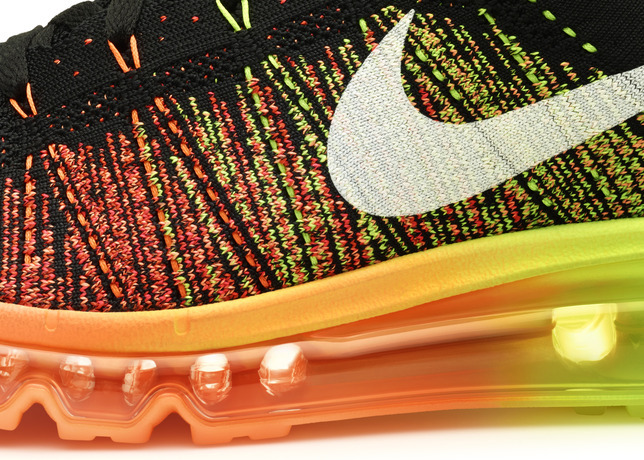 The Nike Flyknit Air Max and Air Max 2014 are the latest introductions to the legendary Air Max franchise. The original Nike Air Max 1 was the first shoe to feature visible air and revolutionized the athletic footwear industry, reshaping the design landscape for performance running footwear. 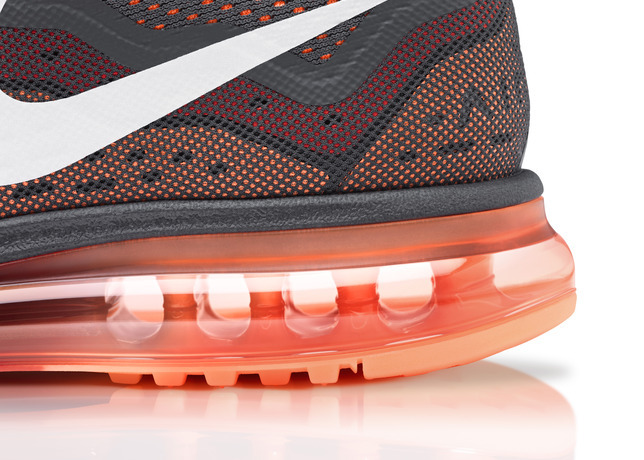 In the years following, Air Max shoes have become the epitome of running performance and style. What do you think of the Nike Flynit Air Max? 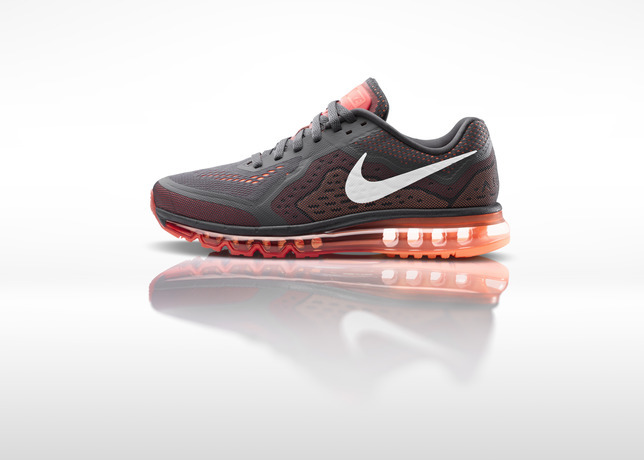 How about the Air Max 2014? Let us know in the comments section below or on our Twitter and Facebook pages. Football Type – a must have book for all football fans!